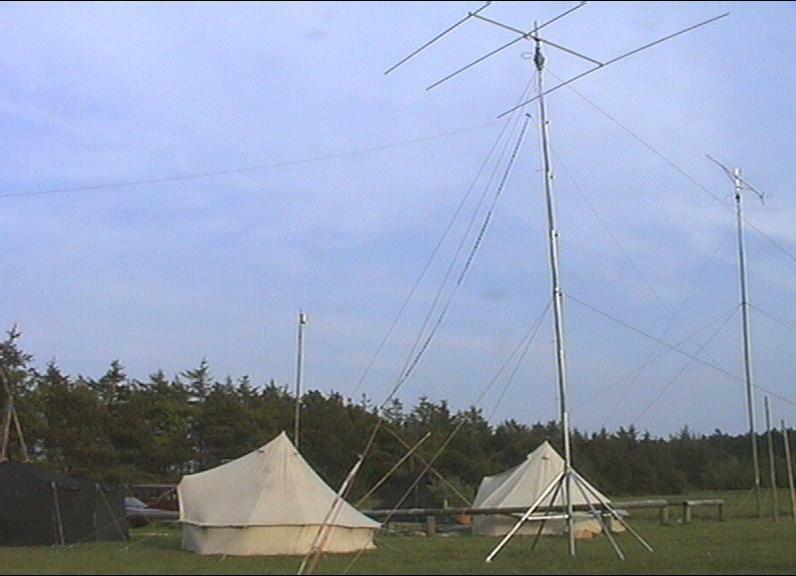 The 2m-station (tower with 2m-yagi on the right) was accommodated in the right white tent. 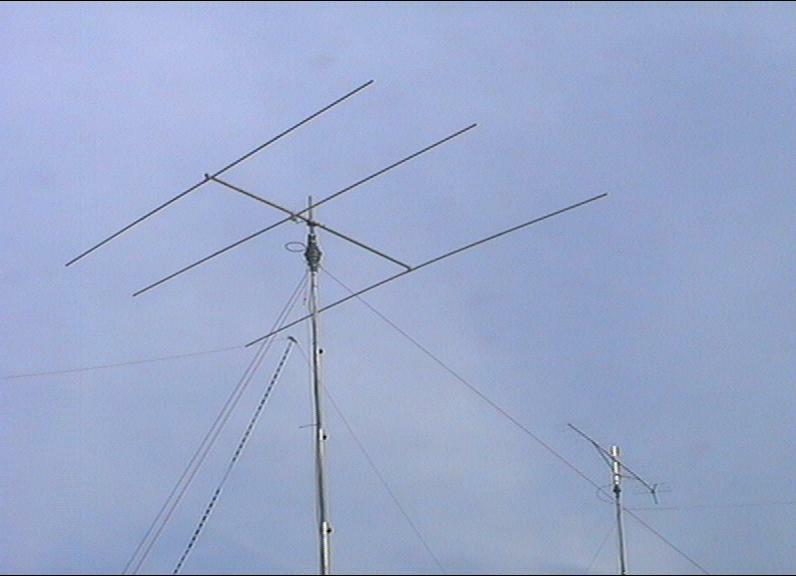 On the front tower the 3-element monobandbeam for 10m and a Doppelzepp. 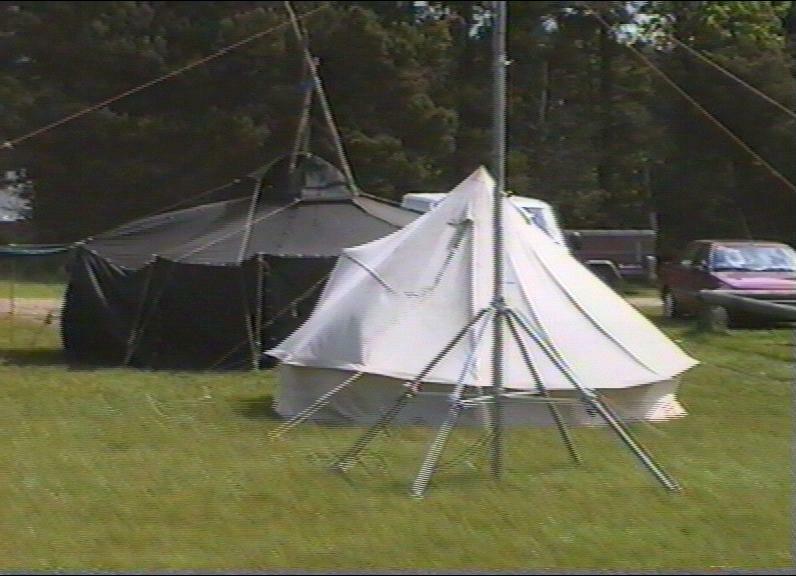 The station in the left white tent. 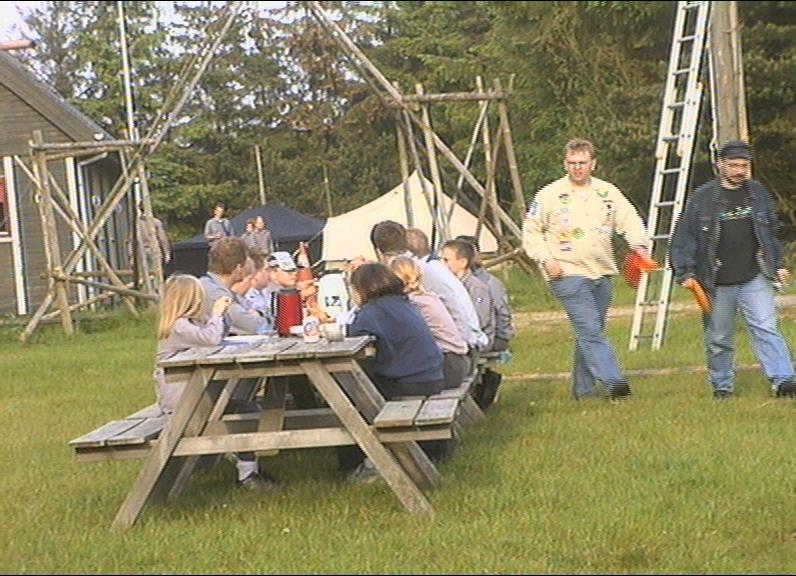 On the left in the image border a black scout-tent (Jurte). 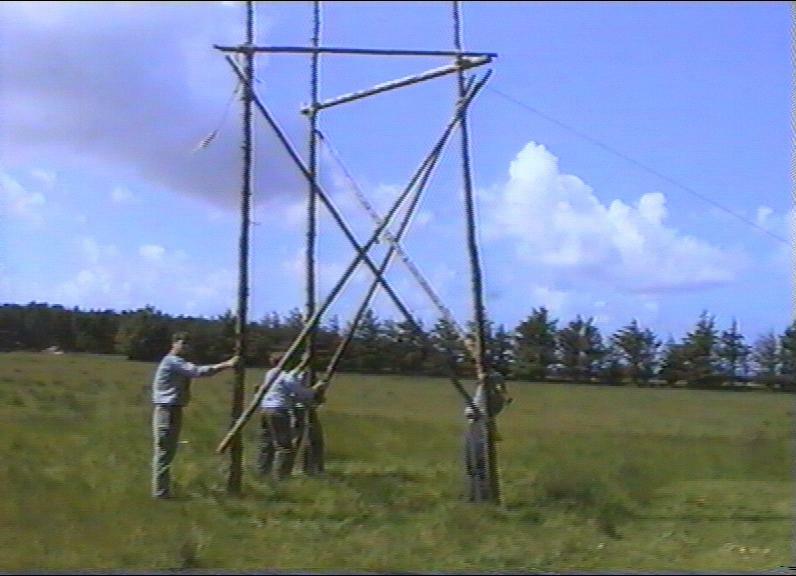 South Africa (ZS), Israel (4X) and various European countries were possible with 100W in SSB. Mast step of the 10m-Beam, behind it the meeting tent, the Jurte. 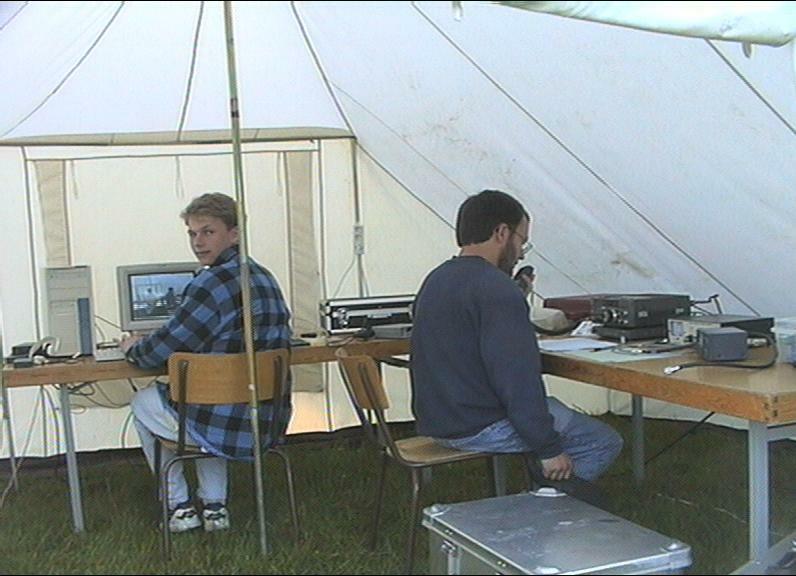 Martin (DG8UAU) and "Weckle" Martin (DL3SFB) at amateurradio on 80 m.
From here were also sent out digital pictures by SSTV in the world. 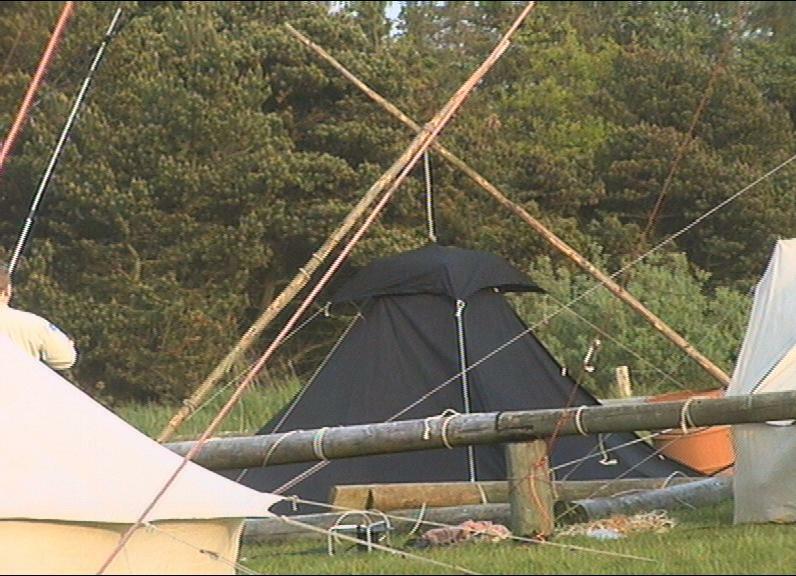 The Kohte served as a sleeping tent. It was eaten together - in nice weather of course outdoors.